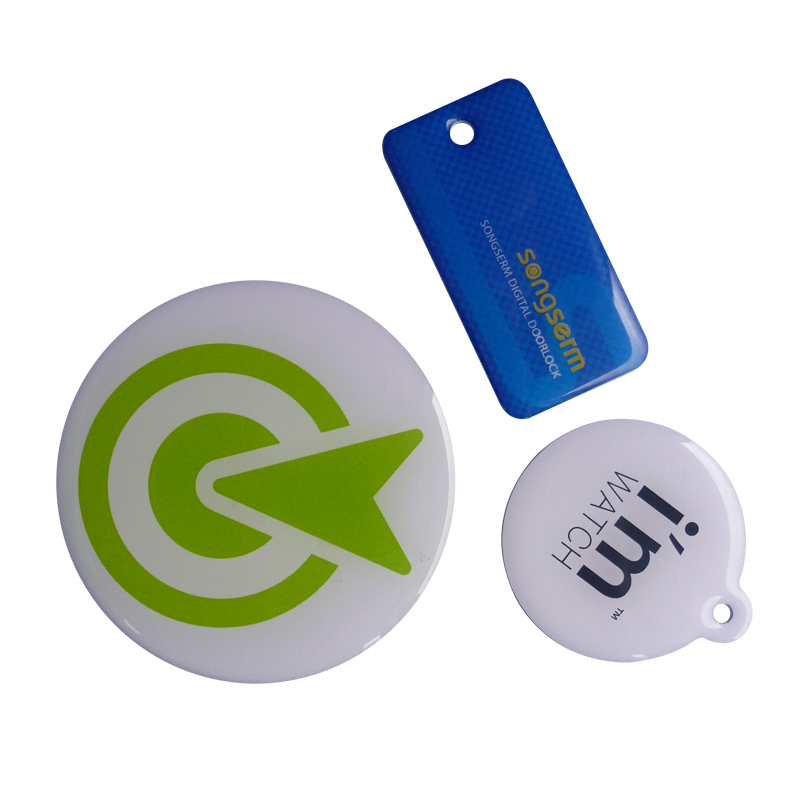 Custom Rfid NFC epoxy tags is small but popular little key fob. Comes complete with key chain. Perfect for task launcher, cashless vending, loyalty programmes, access control/security. And a great choice for a cost effective, strong and durable key fob. Custom RFID NFC epoxy tags used widely, like enterprise/campus card, bus stored value card, express way fees, parking,district management, attendance systems, patrol system, enterprise systems, access control system, radio frequency identification field and so on. Custom chips ,logo printings and sizes.